If you like history, fine architecture, and the gracious ambiance of Southern living you will like New Bern North Carolina. When a town has 300 years of history, where do you start? There are many stories that built New Bern. One is Pepsi Cola. A major brand that started humbly at a corner drug store with a recipe blend of carbonated water, sugar, pepsin, kola nut extract, vanilla and “rare oils”. Today you can relax and enjoy a Pepsi at the recreated soda fountain and purchase a souvenir, now part of a down town historic and architectural tour. Fun. 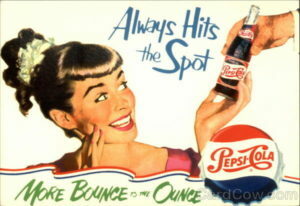 If cola history doesn’t ‘hit your spot’ then there is always the Civil War! The New Bern North Carolina Battlefield Park is a historic site that includes more than 30 acres of the original battlefield used during the Battle of New Bern, which took place between Union and Confederate forces on March 14, 1862. Not a Civil War buff? Let’s go shopping then. Taking a look at the shops in New Bern North Carolina and nearby Havelock, there is enough variety and fun local wares to keep a shopaholic busy for days. From fun colorful women’s clothing at Peacock’s Plume to Snap Dragon, a great old school local toy store. 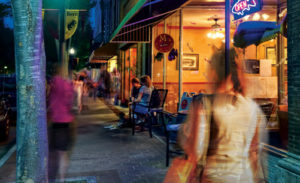 Restaurants on the water, music events with name as well as popular local band concerts, historic sights, state of the art museums and outdoor spaces to hike and bike, New Bern and the outlying area has it all. So what makes this town special? You can find destination tourist locations that have similar draws all over the south. It becomes special when you are there for a weekend getaway or extended stay and can experience each place you visit with your eyes and ears and no one else. You make it your own. That is also why many people stay at B&B’s. 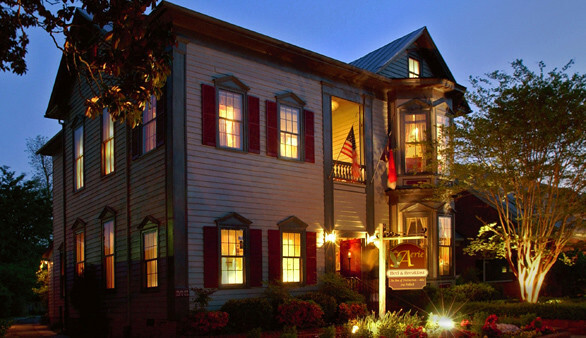 The Aerie Bed & Breakfast is a New Bern North Carolina in town B&B with that gracious ambiance of Southern living that travelers seek. Located within the historic district of New Bern. A block walk to the historic waterfront where the beautiful Trent and the Neuse Rivers meet as well as all those great shops and restaurants mentioned. The Aerie Bed and Breakfast is also a great place to gather authentic travel experiences. Current innkeepers give personal tours in their 1920’s Ford and a pontoon boat. Great innkeepers that love to create those personal experiences (for them as well as the guests!). The B&B Team is offering the Aerie Bed and Breakfast for sale. As new innkeepers of the Aerie you can add your own creations and make it your own. And…In a beautiful North Carolina southern town where ‘patriots gathered and George Washington danced’. Now that is something I would like to experience. This entry was posted on Thursday, June 16th, 2016 at 4:39 pm	and is filed under Innkeeping Business. You can follow any responses to this entry through the RSS 2.0 feed. Both comments and pings are currently closed.